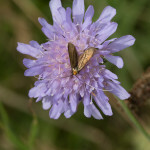 Nemophora metallica is a pretty scarce species in Suffolk, almost certainly due to lack of suitable habitat. 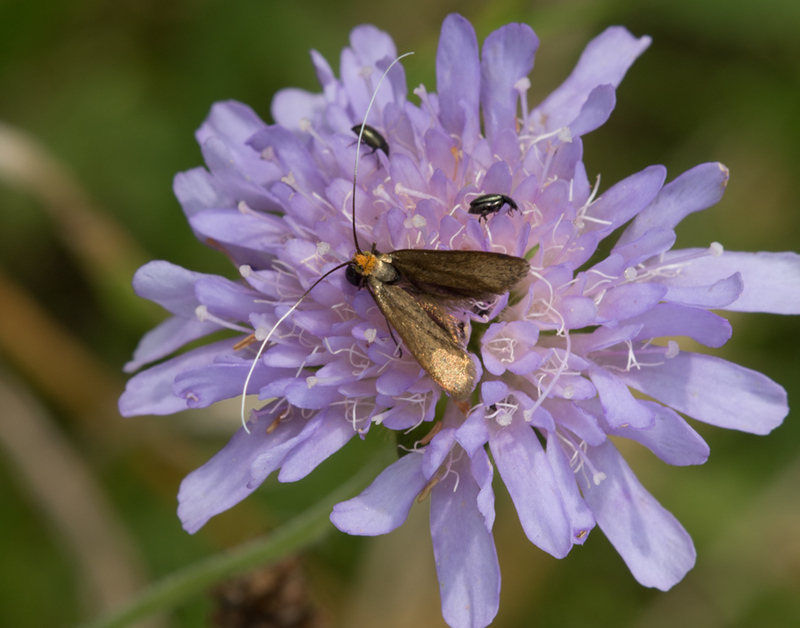 This species was noted at Red Lodge last year by Sharon Hearle on a Butterfly Conservation meeting and I went over and took some photographs. The female in the photos appeared to be ovipositing as she kept thrusting her abdomen down into the flower. The larvae initially feed on the seeds. 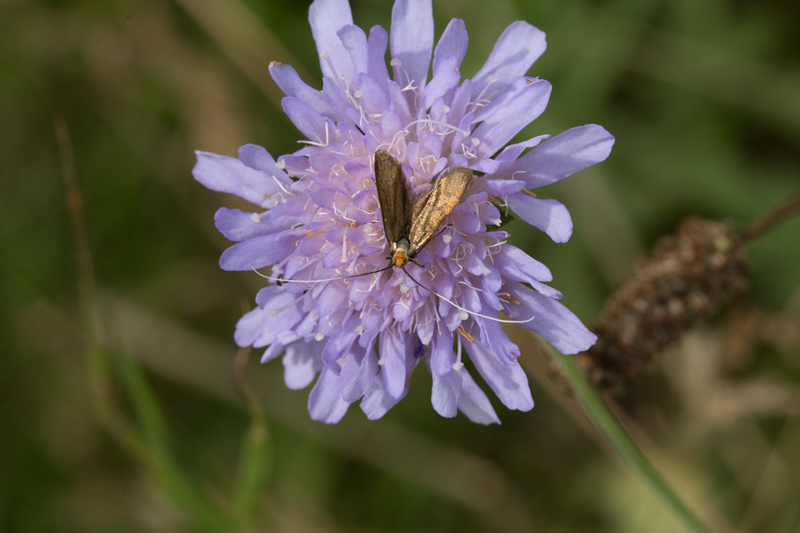 Well worth keeping your eyes open for this species if you come across any Field Scabious in the new few weeks. This entry was posted in Field work, Things to search for. Bookmark the permalink.